A young woman has married her dead fiancé after he died of a sudden heart attack. 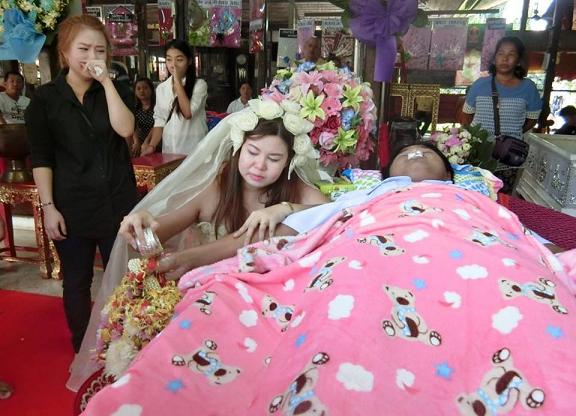 The marriage ceremony, took place in the district of Phanom Sarakham in central Thailand’s Chachoengsao with friends and family gracing the occasion. “It was my way of paying tribute to him in this life because I know one day we will be together for eternity in the next one.